Do you know that Mamonde is the first brand that uses only flowers as its key ingredient, along with other natural ingredients? Using flowers to enhance beauty, how wonderful is that! Now, K-beauty lovers can expect to be spoilt for choices as currently, there are 57 Mamonde skincare, makeup and optional care items available for online purchase after it's recent collaboration with 11street, one of Malaysia's largest online marketplaces! Besides that, some items that are only available exclusively online will also be accessible. This ncludes Rose Toner, AC Balance Spot Serum, AC Balance Spot Patch and also Colour Tone Up Base. Together as a family, butterflies and moths gathered last May the 20th at the Hello Deer, Uptown Petaling Jaya. I started joining The Butterfly Project during it's 2nd year and never had I felt the such close 'family' bonding within the blogger community. I was a duckling back then; foreign to this new society and yet, The Butterfly Project manage to make me feel at home. The founder, Tammy went great distance to keep our minds active, ways to improving our skills constantly and at the same time, encourage us to be beautiful inside out in the name of Bloggers. A word from the founder, Tammy. "It's been a great fun 4 years curating activities and events for our members to join. Money isn't the goal of our community. It's building bridges, uncovering hidden talents, growing and giving love to the community of beauty & lifestyle bloggers in Malaysia. If you don't know, I've social anxiety issues since I was a child. The thought of meeting new people, talking to them, sends chills to my spine. I started blogging because I wanted to expr...ess myself on the keyboard, sharing my experiences and reviews. What's new, what's great, and what I love. Blogging changed me but when I reached the peak of my blogging life, I wasn't happy with what I saw. I stopped chasing stars & I started thinking, let's make it a better place"
It feels great to be back at home. I just returned from a short family vacation to the Land of Merlion and indeed, experience is a good teacher. Everyone there lead such healthy lifestyle! Thankful for the good hospitality by our distant relatives, as well as citizens of Singapore. I must have really missed my oven. So the moment we got home, I baked some Profiteroles aka Cream Puffs. It was my third attempt in baking this and TBH, the past 2 was less of a success with the previous old oven (learnt a very important lesson that a good oven does go a long way). 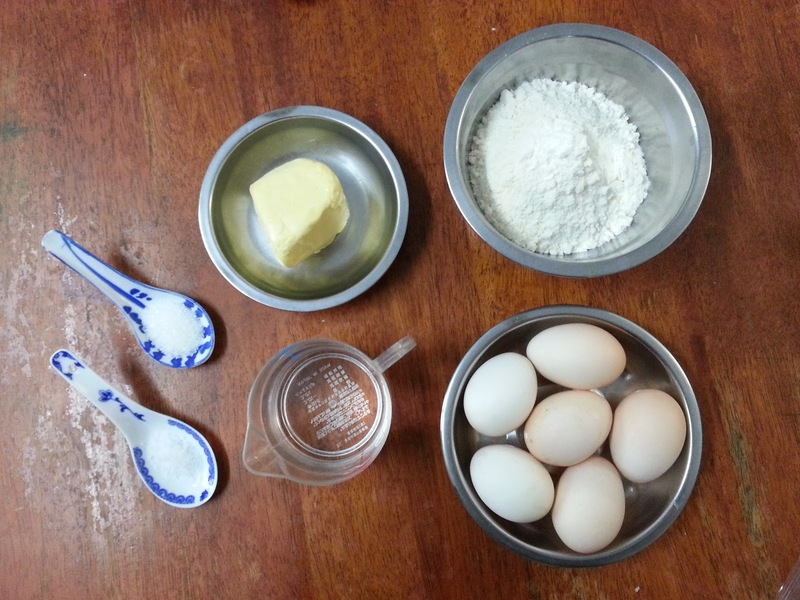 Today's was such a beautiful batch, so I decided to included the recipe on How to Bake Cream Puffs. Let me know if it works for you!